Are you craving peanut butter cookies? Then these Keto Peanut Butter Cookies are here to come to your rescue. 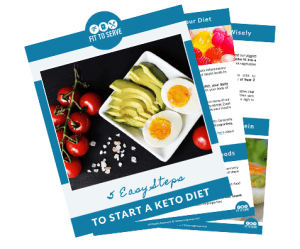 They are low in carbs, grain and gluten-free, yet also keto-friendly. What’s not to love? I’ve always been a fan of a good peanut butter cookie. In fact, it’s one of the first cookies I ever attempted to make homemade. That should give you some indication of how important it was for me to create a keto peanut butter cookie recipe that worked perfectly. Since I first started baking, I have created many cookie recipes and have been having so much fun converting my favorites into keto-friendly versions. 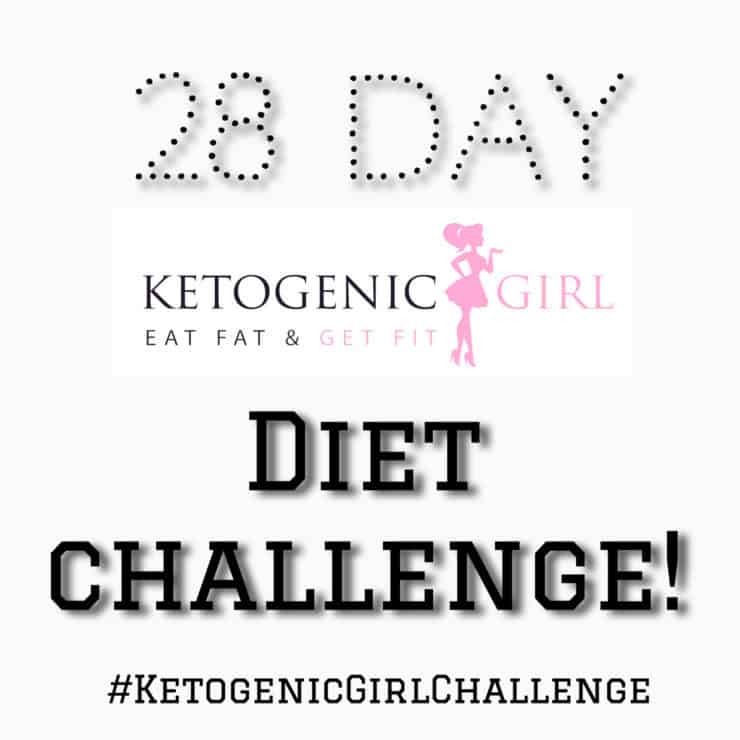 You can find my complete list of Keto Cookies that any cookie lover doing keto would enjoy exploring. Although I’ve seen plenty of low carb peanut butter cookie recipes that use only three basic ingredients, I must tell you I’m not a fan. Yes, those are easy cookies but the flavor and texture just didn’t measure up for me. Remember I was after a true peanut butter cookie experience. Please understand that when this girl gets a craving it’s vital I come up with a recipe alternative that works because cheating is just not an option. Not unless I’m willing to pay for the days of inflammation I’m bound to experience afterward. 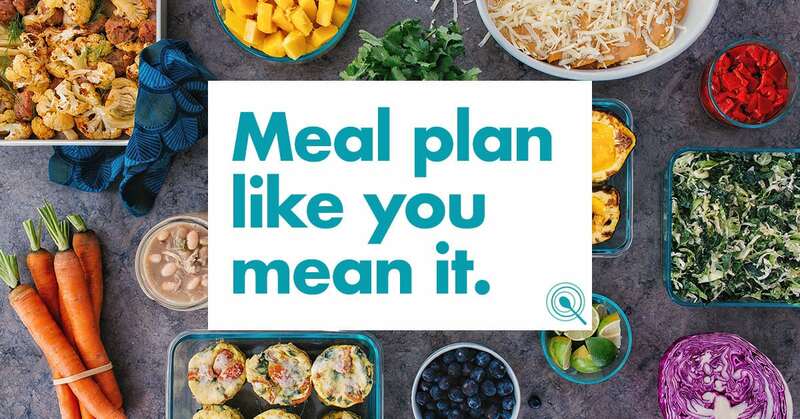 Trust me when I tell you that the battle to be pain-free is challenging enough when I eat according to plan. So I don’t need to make matters worse by intentionally eating off course. I say all that to say that, a substitute needs to be spot on to avoid a fibromyalgia setback for this girl. The problem I had with these cookies is that they just did not have enough structure and crumbled too easily. And that’s not what I was craving. 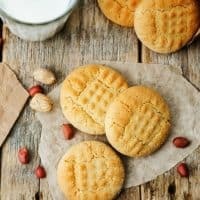 I wanted a keto peanut butter cookie that I could sink my teeth into and that would remind me of the one I made countless of times for my family. I’m happy to report that my determination paid off. Because I was able to create a recipe for keto peanut butter cookies that not only quenched a craving but that I could proudly share with you. My recipe calls for all-natural peanut butter, egg, sugar substitute, butter and a cup of almond flour. That one cup of almond flour made all the difference. It’s what gave these cookies the perfect consistency. When it comes to choosing a sugar substitute for this recipe, any of your favorite equivalents would work. Just keep in mind that they have varying degrees of sweetness. Some sugar substitutes measure cup for cup, while others are not as sweet as sugar and would require more in order to get the same level of sweetness. 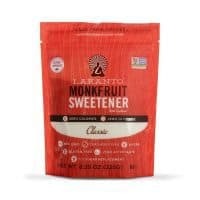 Personally, I’m partial to Swerve, an erythritol blend, or Lakanto’s Monk fruit. If I had to choose between these two, I would go with Lakanto because it adds the sweetness but none of the cooling effect that erythritol sometimes produces. Can I tell you that when I first started baking with low carb ingredients that I really struggled? 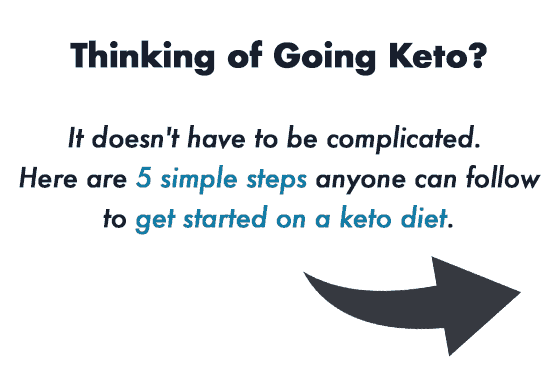 That’s because keto baking can be a bit overwhelming. There are just so many ingredients that simply do not behave exactly like their high carb counterparts. Frankly, it was frustrating. Especially since I was an experienced baker who was used to baking with her eyes closed. It was enough to make me want to throw in the towel. Today, I understand keto baking but that was not always the case. Trust me those first attempts were an epic fail. So stay the course, because the satisfaction of knowing you are not only making something delicious but healthy, is quite rewarding. 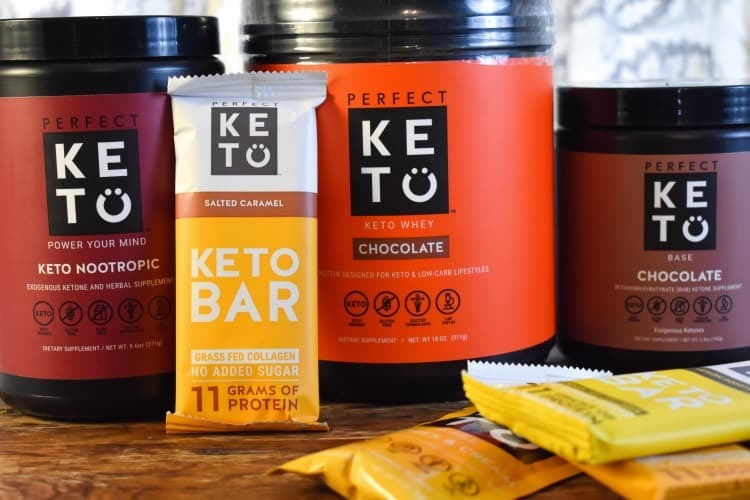 Perfect Keto has generously offered a 20% off discount to our readers when you use the code: FITTOSERVE at checkout. 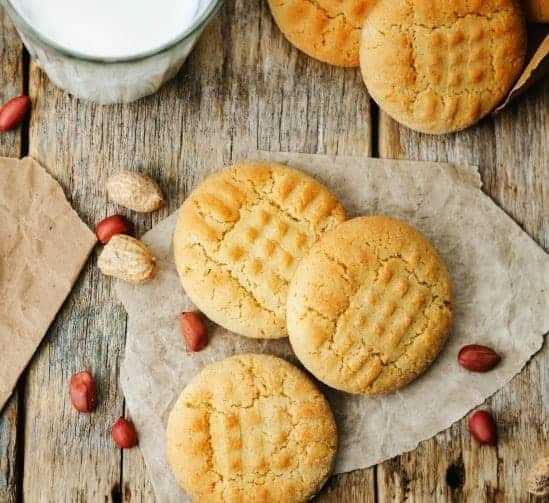 It's a recipe for keto peanut butter cookies and it's low in carbs, grain-free, gluten-free, sugar-free and keto-friendly. Using an electric mixer, beat well the peanut butter, butter, sugar-substitute, and egg. To this batter add the almond flour and baking powder and salt. Stir the mixture until fully incorporated. Drop a teaspoon amount of dough to form little balls and place on a parchment lined cookie sheet. Once the dough balls are on the cookie sheet, flatten them with the tines of fork and to make a crisscross design. Bake in a 350-degree oven until lightly brown around the edges around 10-12 min. Allow the cookies to cool completely before eating and storing as these cookies can be very fragile. Can you tell me where do the 3g of sugar per cookie come from in this recipe, please? Is it sugar alcohol? 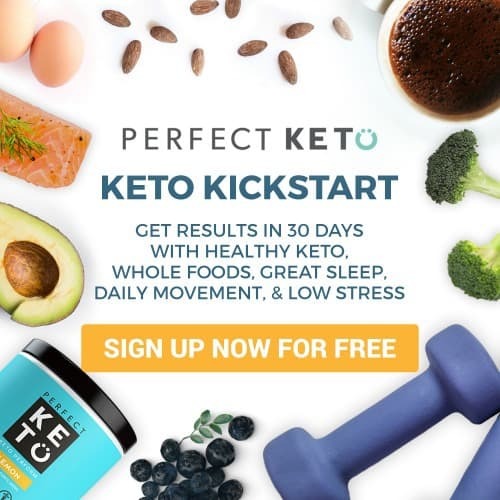 I have found that lots of Keto recipes are good for a Type II diabetic but 3g of sugar per cookie is more than I would like. Thanks! Hi Debi, I never include the sugar alcohol in the carb count. In the case of this recipe, the carbs are coming from the peanut butter and almond flour primarily. You could make your cookies smaller and perhaps that will suit you better.